as he termed them, were the way to promote his product, Redex upper cylinder lubricant. Shepheard had already set up Redex in France, Holland, Denmark, Belgium Germany, the US and Canada, Scotland, Wales and Ireland before coming to Australia to start the ball rolling here. 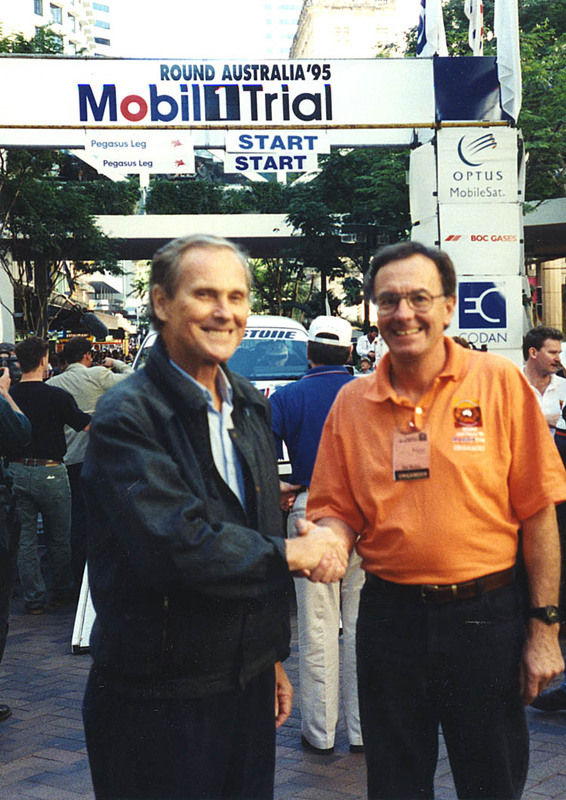 The first Redex Trial covered 10,000 kms, but was not a true Round Australia event. It went up the east coast as far as Townsville, then west through Mount Isa and north to Darwin, then travelled through the Red Centre via Tennant Creek and Alice Springs, then Port Augusta, Adelaide and Melbourne to the finish in Sydney. That would be a simple trip today, but in the 1950s there were no motels, few service stations and stores, and roads were mostly unmade, poorly maintained and not often signposted. The cars of the day were mainly of English or American origin, with a sprinkling of European makes and local Holdens. They were not designed or prepared for the rugged conditions they encountered in the outback, and mechanical problems were common. Roadside repairs were necessary not only to keep in the event, but to reach somewhere that had food and a bed, often after many days in the bush. Ford, beating many works supported teams and achieving lasting fame. He carried sticks of gelignite in his car, allegedly to clear obstructions from the trial roads, but in reality to have some fun at the various rest breaks, blowing up dunnies and the like. The Murrays lost no points during the event. 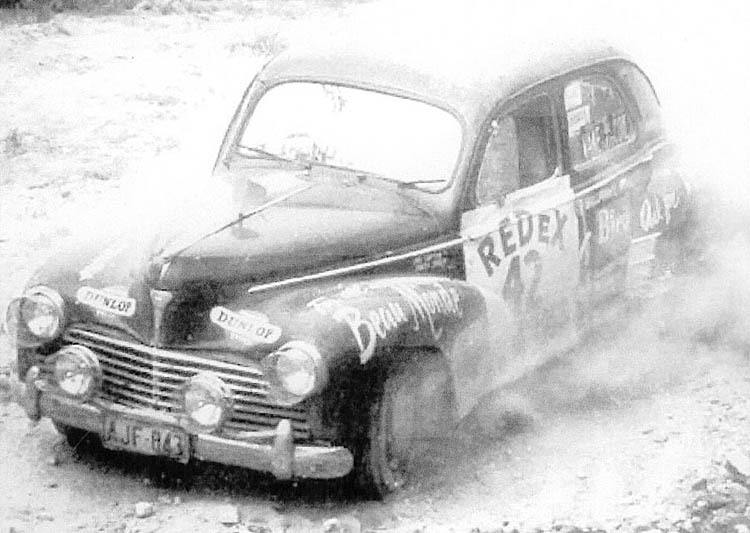 Redex sponsored the 1955 Round Australia, and then withdrew. Reg Shepheard considered the event had achieved the company's objectives of Redex becoming a well known product, and he was right. The next long distance trials were sponsored by either Ampol or Mobilgas until the Repco sponsored event of 1979. The entry of the two oil companies into the field was a bitterly fought affair, with both wanting the sole rights to run a round Australia event. This caused a huge split in the structure of Australian motor sport, the Confederation of Australian Motor Sport being aligned with Mobilgas, and a number of NSW car clubs who were disenchanted with CAMS anyway, forming a rival group, the Council of Combined Motor Clubs, to back the Ampol event. This dispute fragmented the round Australia events. Entrants found it difficult to obtain sponsorship with two lots of competitors vying for funds, and the pool of potential entries was split between two events. The rival events were held in 1956, in 1957 Ampol went it alone and in 1958 there were two events again. 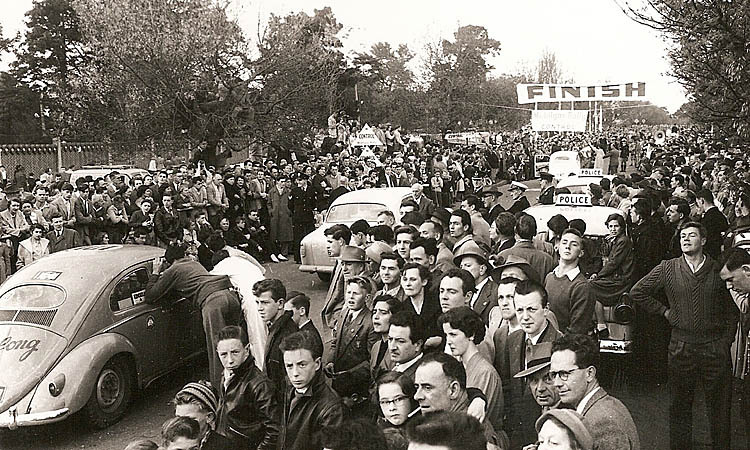 The net result was a drop in entries and public attention to the events, which caused the two oil companies to stop their sponsorship in 1958. It was Ampol which turned out to be the stayer, backing events again in 1964 and 1970. 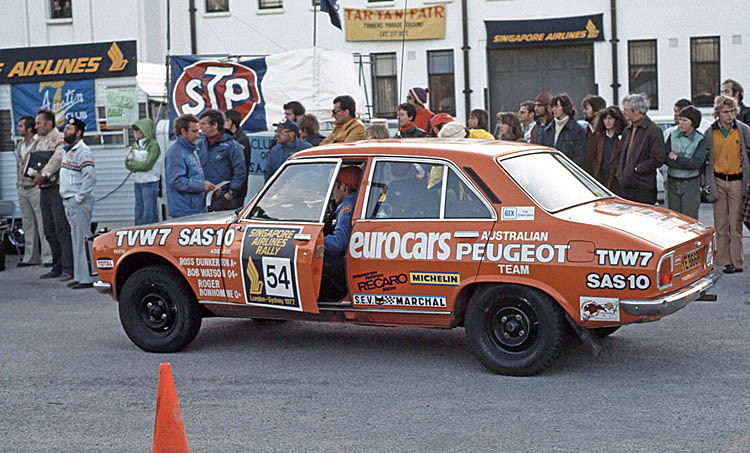 There was then a long gap until 1979 when parts company Repco backed the longest and easily the toughest round Australia event yet. Director Stewart McLeod warned competitors they faced a tough test, and he was right. Only 13 out of the 167 entries completed the entire 20,000 km course, over only two weeks. 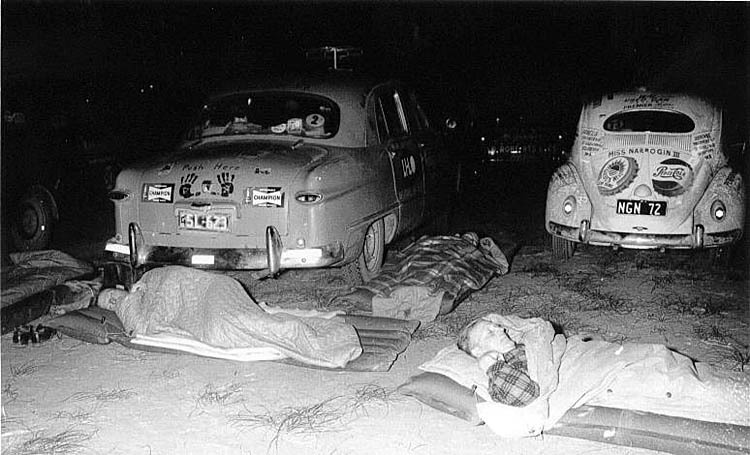 Service crew were left way behind, and frequently had to drive through one or two nights to catch their charges again. Garry Harrowfield and I driving a Peugeot 504 diesel spent 67 hours non stop in our car between Adelaide and Perth. It was dangerous and stupid, but it was also the experience of a lifetime. Time passed, and by 1995 there was a ground swell of demand for another round Australia event. I reluctantly took on the challenge, because no one else looked like doing it, with my co-Red Centre to Gold Coast Trial colleagues, Tom Snooks, Philip Bernadou, Michael Browning and Peter Lewis-Williams. Mobil backed the event to celebrate their centenary in Australia, and sports marketing company Advantage International took over the financial risk. The event equalled the Repco for length, at 20,000 kms, but took three weeks because CAMs rightly insisted on more rest breaks for crews. Basically the same organizing crew ran the Playstation event in 1998, except that the road director was Australian Safari veteran Bob Carpenter. The same team of Watson, Snooks, Bernadou and Browning with the addition of Phil Rainer ran the Red Centre to Gold Coast Trial ten years after the Playstation. Like the first Redex in 1953 it was not a true round Australia, but to run such an event now with safety and other factors to take into account would be four weeks too much time away from business and family for most. 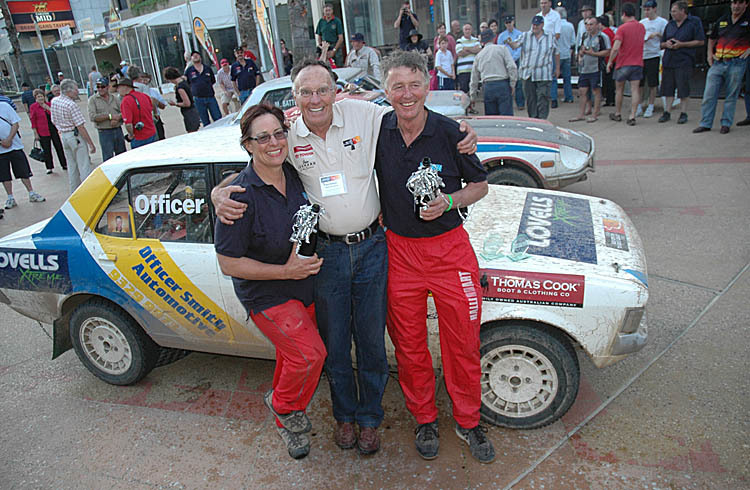 In 2009 Phil Bernadou took over the reins to run the Classic Outback Trial, run in outback NSW and finishing at and competing in Repco Rally Australia. It is quite possible that If people want to experience the adventure, the camaraderie and the challenges that outback Australia presents, this shorter style of outback event may be the way of the future. is unlikely to last the duration of a twelve day event, as the servicing requirements are too demanding. It is generally not feasible to change major mechanical components in these events due to the expense and logistics of having adequate spares distributed throughout Australia. The first requirement is to build the vehicle to last the duration of the Trial. Running gear like hubs, axles, wheel bearings, ball joints, universal joints etc need to be new or in excellent condition. Fuel in the outback is often poor quality. Premium unleaded fuel is rarely available outside major towns (and there will be plenty of times when you will need to refuel in remote areas). Fuel has often been in storage for some time, so evaporation lowers the effective octane rating of the fuel. It is recommended that engines be tuned to run on 91 RON fuel. Fuel filters are very important. Many outback refuelling facilities are very basic, so the likelihood of water or dirt being present in the fuel are higher than normal. Changing fuel filters should be part of your routine servicing program during the event. Expect dusty conditions during the trial. Events are generally run at the end of the dry season, so road surfaces become very powdery through usage and no rain. Make sure you have an efficient air filtering system, and change the air filter(s) on a regular basis. Dust entry into the engine will destroy the engine's piston rings in a matter of a few kilometres. Dust proof your car as well as you can. Unfortunately on older cars the rubber door seals have lost their spring, but they can be packed from behind to restore their sealing ability. Check for holes in the floor or the boot and seal them. Having air conditioning is the ideal way to prevent dust entry to the cabin, as the car can be pressurised with the blower fan and the windows kept wound up. However aircon was not common on pre 1986 cars. If a factory designed system can be fitted this is OK, but I would not recommend fitting an after market installation. There are often problems with poorly designed brackets and pulleys for the belts. Plenty of ground clearance with the car ready to start the event. A mildly tuned engine that can tolerate 91 octane fuel or worse. Correct tyre pressures. Never use more than 30 psi in any tyre on outback roads. Rally tyres should be at 25 psi. If you have fitted an extra fuel tank make sure all joints are tight and leak free. A constant petrol smell in the car is not tolerable in a long event. Efficient air and fuel filters that can be serviced or replaced easily.